You all know by now how much love I have for Makeup Revolution, so I've put together a little wishlist of all the products that I want to try out. I've added links incase you see something you like, enjoy! 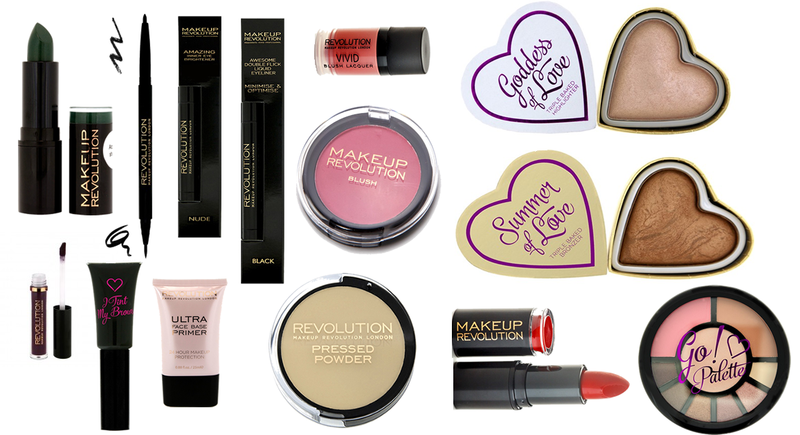 I've seen Makeup Revolution products around on so many posts recently they sound fantastic! I feel like I just need to try them soon! I need another brow pencil - this one looks pretty good! I've seen everyone raving about this brand, but I've never tried anything myself! I really want to try the highlighter and bronzer and those lipsticks too! THE BRONZER IS SOO BEUTIFUL WOW! I need it for myself! Love the look of the bronzer! I really want to try one of those, and a few blushes! They seem to have such great dupes! Also interested in trying their version of Nars Matte Multiples.